Sisal is a completely natural vegetable fibre, made from the leaves of the agave cactus (Agave sisalana) which is indigenous to Mexico. The thick leaves are crushed and the outer husk removed, leaving the long grey-white fibres which are bundled together then hung in the sun to dry. Although sisal can be derived from China, the Mexican agave cactus produces a much firmer fibre, known in the trade as 'Mexican Fibre' which ideal for the stiff bristle needed to stimulate the skin during dry body brushing. 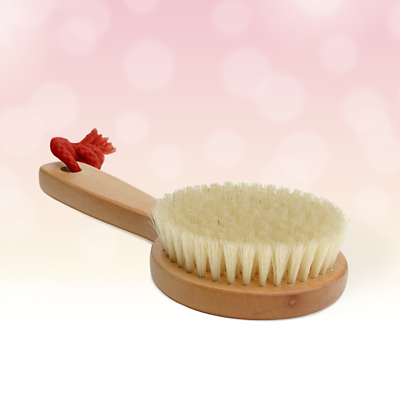 Natural bristle products are far superior to synthetic ones, but remember to store them in dry airy places since they may deteriorate if left in damp conditions.